Skypark, Glasgow has announced the launch of the business destination’s first Skypark Curatorial Fellowship 2019 with The Glasgow School of Art (GSA) – the first initiative of its kind for the GSA Curatorial practice graduates, that will invest in the emergence of graduates from academic study to professional practice. The Fellowship will give early-career opportunities to five Glasgow-based curators in a bid to support and nurture future artistic talent in Scotland. 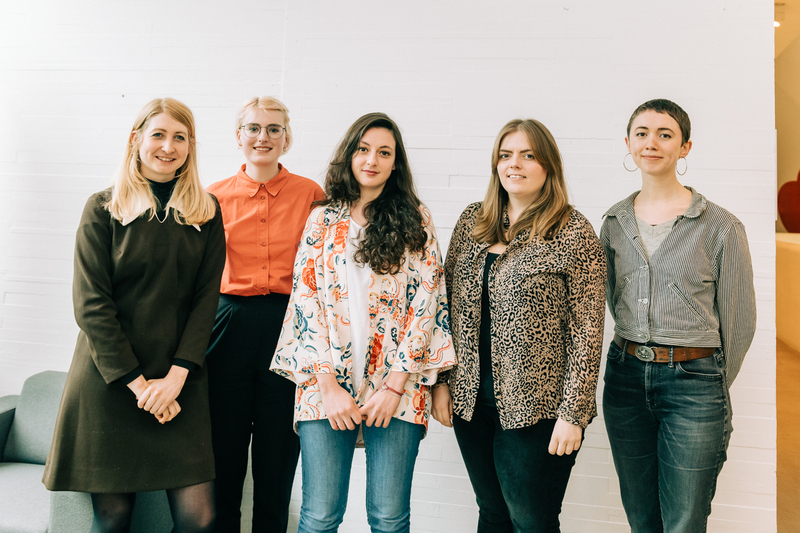 The Skypark Curatorial Fellowship 2019 is a professional development opportunity for five candidates – Rosie O’Grady, Giulia Coletti, Alice de Bourg and Mattie Roberts of Casual Nexus and Holly Knox Yeoman – all are recent MLitt Curatorial Practice graduates from the GSA. The purpose of the Fellowship is to curate four stand-alone exhibitions taking themes that relate to work and environmentalism with a related public programme that will involve Skypark tenants. The exhibitions will run from spring to autumn centring on Skypark’s ‘Donated Gallery’ established for the City’s artists and art festivals as an alternative exhibition space to a traditional gallery. The GSA Enterprise Studio connects alumni globally to help develop business skills and contacts for future success. The MLitt in Curatorial Practice is run jointly by the University of Glasgow and The Glasgow School of Art. The one-year programme offers training to pursue independent and self-directed working, and to lay practical, intellectual and professional foundations for working in future curatorial roles. Students collaborate with the city’s high calibre visual art partners, such as, Glasgow International; GoMA; Tramway; and The Common Guild. A regular exhibition curated by MLitt students takes place at the Hunterian Museum. Mónica Núñez Laiseca, Senior Lecturer in Curatorial Practice (Contemporary Art) said “Through the MLitt in Curatorial Practice (Contemporary Art) programme graduates are able to work in different types of spaces and with artists of various spanning very different types of practices to stage exhibitions and projects events that explore issues of importance in contemporary society. This year’s Fellows, all recent graduates from the programme, have created intelligent proposals that respond to Skypark’s diverse community of tenants. Scotland produces a wealth of curatorial talent, however the opportunities for early-career curators are limited. My hope is that other organisations will be inspired by this example”.